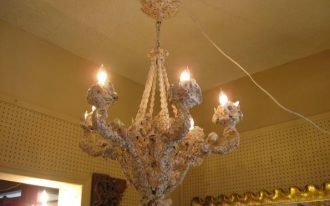 Really-me-style actually never goes to any particular home decor style. 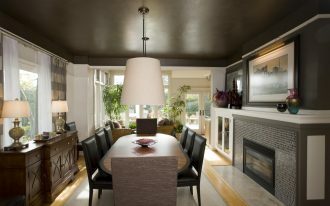 It just reveals your personal style in which you could add everything you love the most to your home. 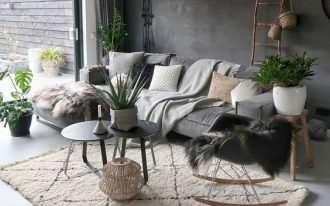 You’re free to implement Scandinavian, Bohemian, modern-minimalist, rustic, or whatever style you really love to. 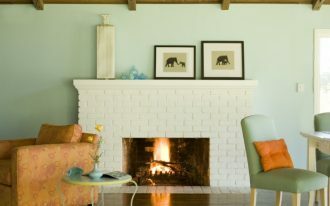 Here, we’ve shared ten different styles of home decorating ideas with different character and value. Everything we’ve put there hopefully will be your inspiration. 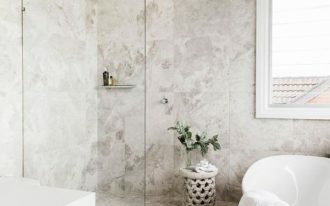 With coastal touch, this bathroom feels so fresh. 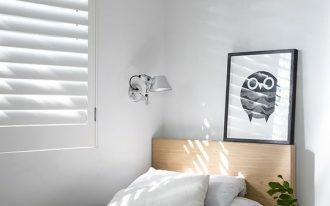 Light and bright interior elements visually produce an airy feel and minimalist look. This hallway seems like a Japanese-inspired one. The space consists of wooden railings for the semi-private partition. 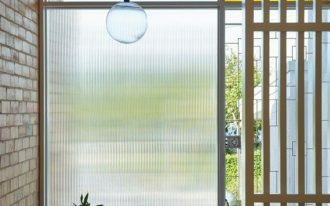 Another most interesting thing is that the homeowner uses blured glass panel wall that still allows the light comes in without interrupting your privacy. 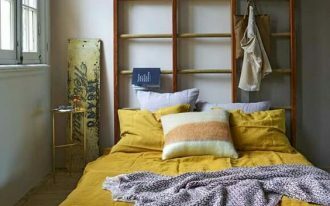 Pop of yellow could be best alternative for a striking bedroom look. 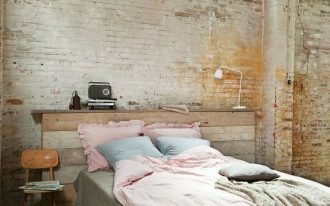 Make it more interesting with DIY headboard that’s effectively used for creative storage solution. 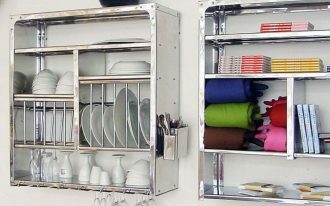 For industrial look, you may need to add something heavy and shabby in look. Brick walls with black metal-framed windows seem like meeting this idea – at least displaying a shabby space for nap. Feel ultra-comfort just with playful color shades. 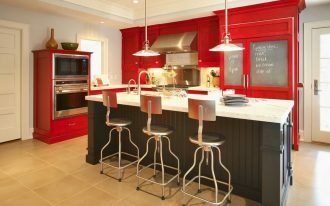 This space is highlighted by three hottest color trends and each shade brings powerful character that completes each other. 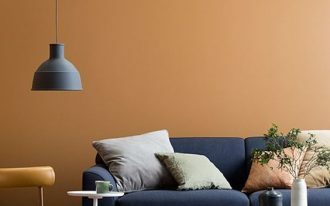 Bright orange wall paint seems to be best background color for this gray couch and pendant – getting a beautiful contrast only by well-chosen colors. 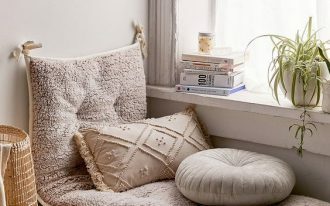 Just create a welcome-guest space as cozy as possible. Of course it could be the one you’ve set based on your personal style. Each individual has different taste and definition of comfort. 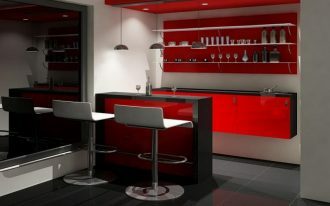 It would be quite more comfortable if the space gives you good feel and mood. Surely you wanna make your visiting guests feel the same, right? This living room is just one of samples where you could feel ultra-coziness and style. Pink lovers, here we’re gonna show you a brilliant idea how to re-design a unique living room. 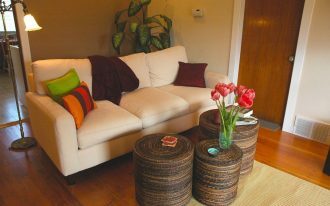 No legged-furniture, no coffee table; just some floor seats – consisting of floor pillows for seats and tables. 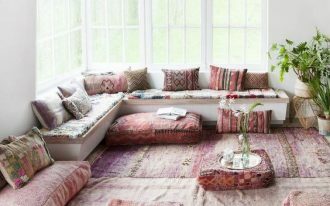 Moroccan area rug covering up the floors apparently contributes an ethnic look in this space. 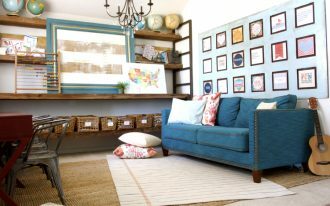 Clean off all furniture and re-create a kid-friendly space for your kids. This is important to make your kids free in accessing entire space they want. 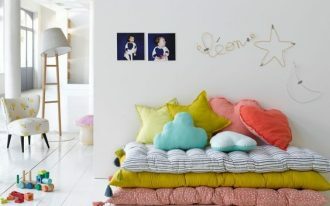 Two or three layers of floor futons are okay if you want to provide a relaxed and cozy spot for kids napping. Consider the colors that seems making your kids have much fun. 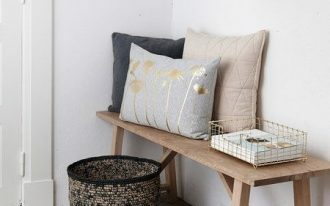 A convertible pillow – a practical and functional kind of pillow for both seat and accessory. This product is so amazing since it can be used optimally based on need. Its fluffy gives a texture when touched and of course it’s so stylish. 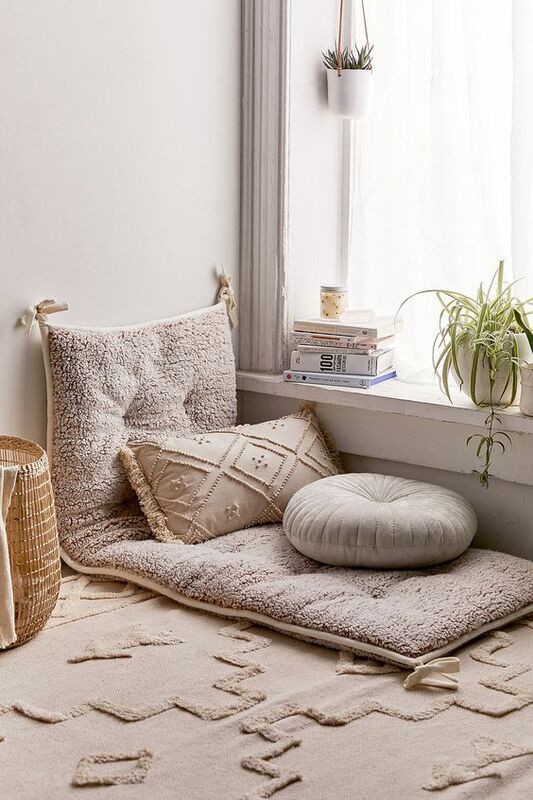 You can make it a floor seat or bed for your reading routines. Stucco and wooden – two natural elements involved in this tiny hallway. This would be a great idea for those that eagerly want to use natural elements in modern design.